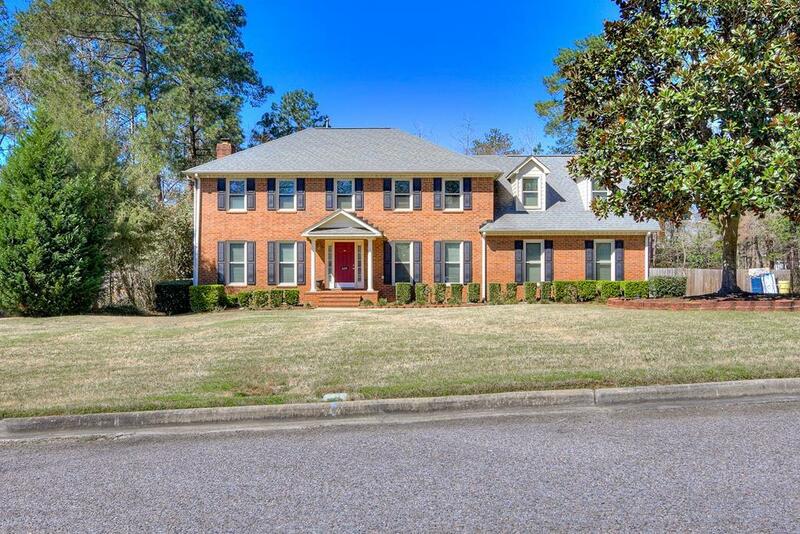 All brick home on large cul-de-sac lot in the heart of Evans. Hardwood floors in foyer, dining room, living room, great room and halls. Eat in kitchen updated with granite counters and stainless steel appliances and wine cooler. Great room has a masonry fireplace with built ins. Separate laundry room on main floor. All bedrooms are upstairs and spacious. Owner suite has 2 sinks, separate tub and shower. Three additional bedrooms share a bath with another possible owner's suite with full bath upstairs. Large fenced back yard with deck and 10 X 20 shed that remains with the property. Side entry double garage. HVAC is just 2 years old. 609 Branett Way is a 5 bedroom, 4 bathroom Single Family home for sale in Evans, GA. It's listed for $279,900 and it's been on ERA.com for 45 days. Built in 1987 , this property has a lot size of .61.